Thank you to our WSSBC Northern team under the stewardship of Robbie Englot and Korey Green for bringing the Northern Fundraiser back in 2018. Our Executive Director Lisa Hettrich, Administrative Assistant Kelly Cioffi, dedicated board members and volunteers have literally been working around the clock to pull off an incredible show for our 400 guests. Thank you to our donors, dedicated members and show attendees for all your support. 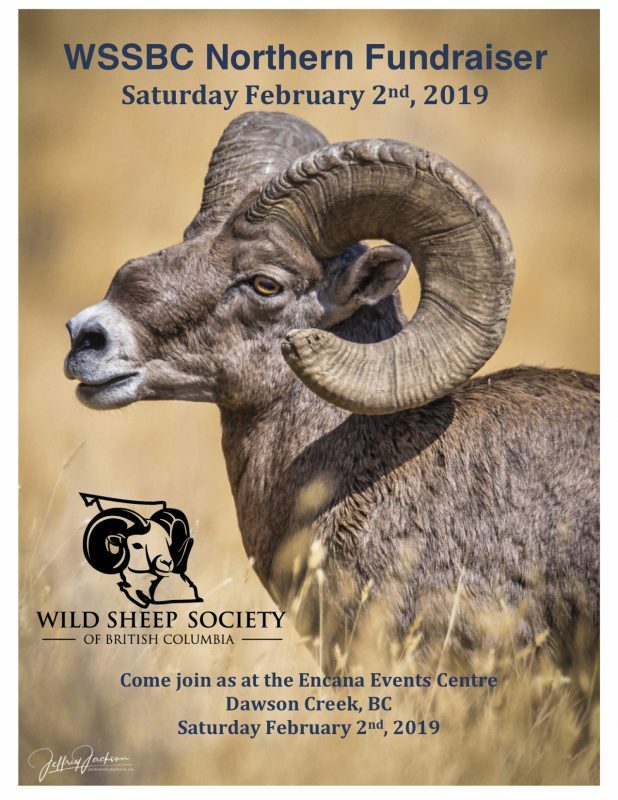 Our Keynote Speaker Mr. Kevin Hurley, Vice President of Conservation and Operations, Wild Sheep Foundation will be addressing the sold out crowd. Please see the itinerary below outlining or numerous presenters. You will also see our auction list and raffle list attached in the document below (Northern Auction Booklet 2018). Thank you to our entire team for making this event possible and for the incredible support we have received from the Northern community in hosting this event. The funds generated from our Northern Fundraiser goes directly into our Northern account and will be directed to wild sheep conservation projects in Northern British Columbia.